There are a few different steps to starting a business in the state of Illinois. 3. 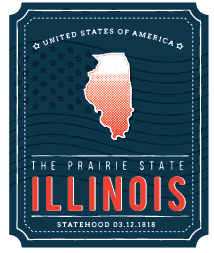 Register your business with Illinois. 6. Decide if you need Liability Insurance. You might want to consider liability insurance depending on what type of business you will be starting. 7. See if you need City License.